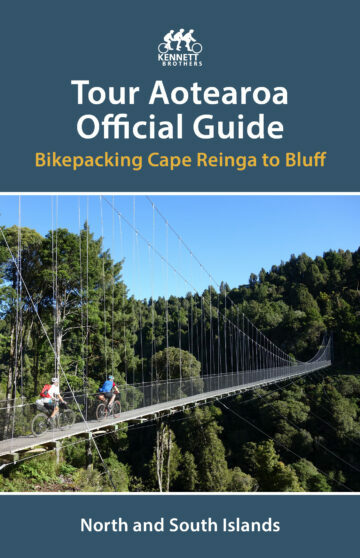 All the practical info you'll need as you ride the 3000 kilometre Tour Aotearoa route from Cape Reinga to Bluff. 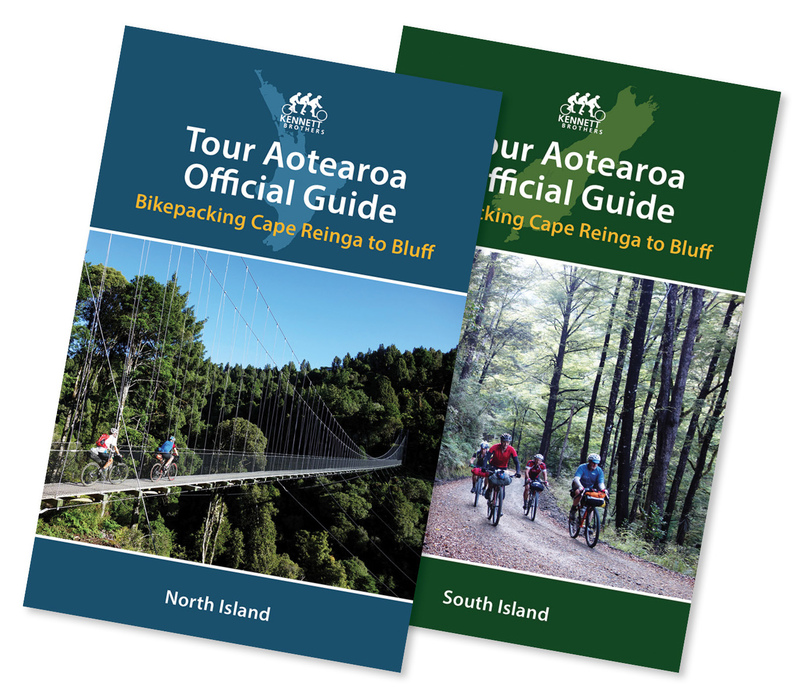 Tour Aotearoa Official Guides give you the practical information you’ll need as you ride the 3000 kilometre Tour Aotearoa route from Cape Reinga to Bluff. For those keen to ride the length of New Zealand, these functional guidebooks describe the 3000 kilometre Tour Aotearoa route from Cape Reinga to Bluff. Christened in early 2016, this route follows several Great Rides and Heartland Rides through a variety of inspiring landscapes and welcoming rural towns. They are made to be used on the trails as a complement to GPS navigation. 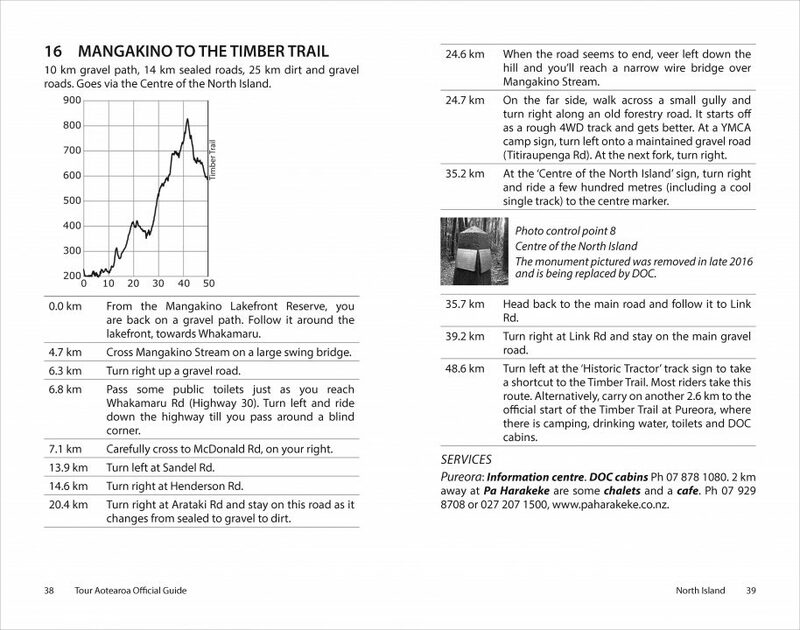 Printed on water resistant paper, they include maps and elevation charts throughout the route, detailed cue sheets, contact details for important businesses along the way such as remote accommodation, cafes and supermarkets, transport operators, etc. 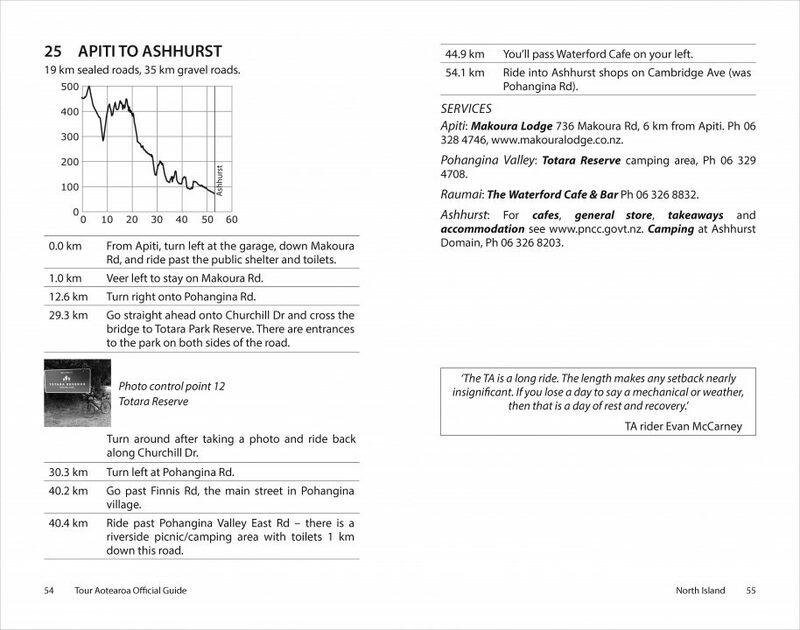 The Guides are provided as two staple bound booklets; 72 pages for the North Island and 48 pages for the South Island. This format allows you to only carry one light weight guide per Island – no unnecessary weight to carry. 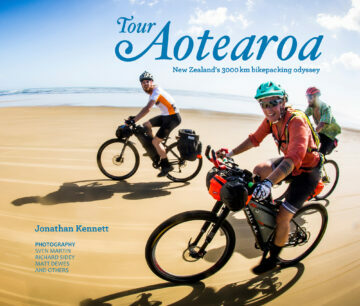 The author, Jonathan Kennett, has been writing New Zealand cycling books for over 25 years and works for the New Zealand Cycle Trail. 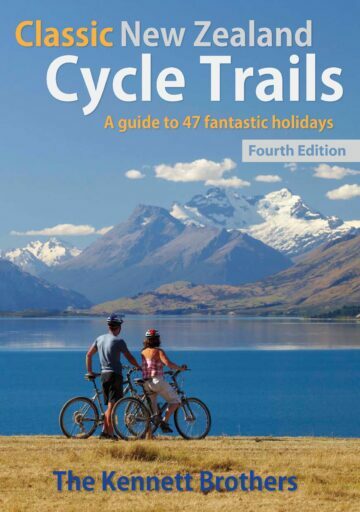 He rates Tour Aotearoa as “the best ride of my life”. contact details for campgrounds, accommodation, cafes, pubs, etc. transport options for leaving Bluff. 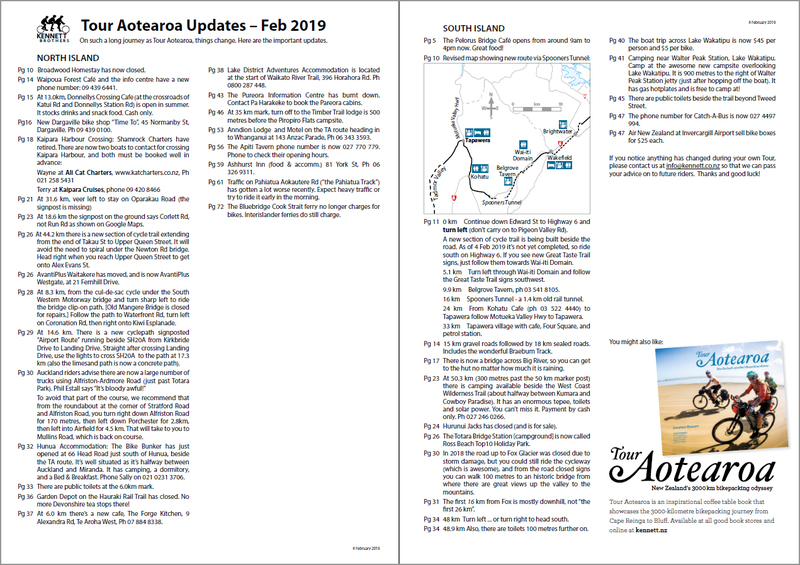 Also available in a PDF edition (Mar 2019).